Home » Uncategorized » Countdown to GenCon 2016 continues! 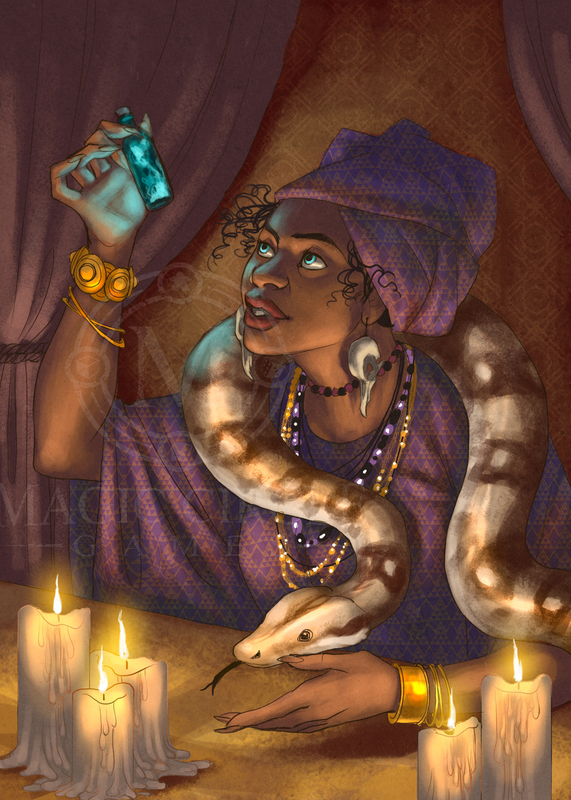 Today for my countdown to GenCon 2016 art dump is one of my favorite art pieces by Alysa Avery for the Leader Deck expansion for Cauldron: Bubble and Boil. The art piece is for the Witch of the Bayou card. Enjoy!